I have always enjoyed it when I went, but didnt go this year. What did you see \ like \ buy \ any pics? From an absent bystander I like the coverage that AB Performance provided, and their cars seem to get better and better. One day ill buy one! There has been some ok coverage from various facebook groups but other than that I have not seen much. Inspire me to put my car on the road and drive next year. Didn’t go but would love to hear views on the alloy body batho, is it as good as it looks and is the chassis up to scratch. I visited on the Sunday in the Ginetta. Personally I thought the show was stale with may stands being the same as last year (many in exactly the same place too). Spoke to the guys at Simtech about some of their new bits but came away empty handed bar a ham roll and bottle of water. Didn't go but from the pics I've see there seemed to be acres of grass with a few cars dotted here and there. I remember the days when the MK and the Locost stand were back to back in a prime position and you were lucky to get a space. I don't suppose there is a Locost stand now ? Didn't it used to get booked by Chris Gibbs ? AGM in that little caravan, and every one had to stand outside and listen through the windows. As 907 says I felt there was a lot of empty space both inside and out..
One of the halls was half empty. I'm pretty sure they could have fittted everything in to two halls. Most exhibitors were the same as last year (and in the same places too). Westfields and Cobras were well represented. I guess it's not as good as in its heyday but then you can say that about the whole kitcar scene. The cars are much better these days but there's not as many of them. There were mainly generic kit car cars there.....Tiger looking etc and a few that id never seen before. If you want small build bits....nuts, bolts, trim, generic tools etc then there were plenty of pieces to get them.........However.....if you want car parts such as uprights, shocks etc then i didnt see anywhere selling any. A couple of places sold old used stuff but was very disappointed with the show if i compare it to say the MCN bike show. A 150 mile round trip and £15 to get in, for me as a customer who wanted by kit car parts, was an expensive waste. I was expecting most kit car firms to have an area where they sold loads of parts or had them on show for you to order for delivery. I would go back for a general day out if the weather was good like it was, but not if i needed to buy parts for the car unless it was trim edging or spade connectors etc. Im sure its a great social place to go if you are part of a club. I think the best way i would describe it to people is a huge pub car park meet. 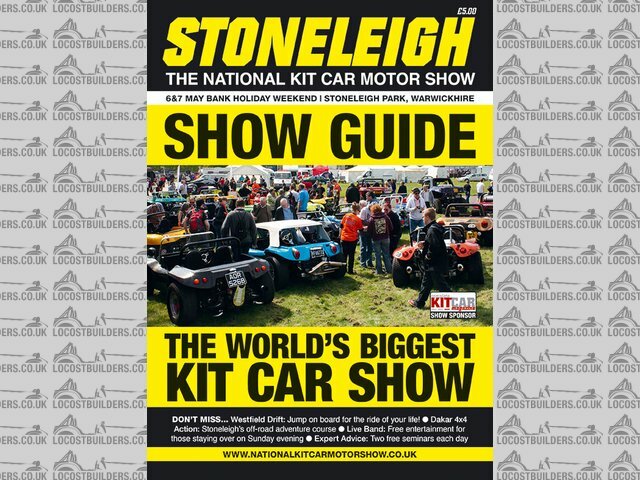 I know in a previous post where i asked about the show, i was told its important to go and keep the kit car scene going, however the kit car scene need to give the kit car customer what they need at these type of shows. There is of course a chance i am the odd one out and everyone that went only wanted what the show offered and not to spend money on bigger stuff? The work done by Martin is incredible. I can't understand how he manages to fashion such perfect multiple curves in aluminium. Most of his work is TIG welded and show the work of a real master of his trade. His chassis bears many similarities to other sevens but with extra strength added in a few important areas and now with inboard front suspension units. he is very flexible as well - if you want something different then its no problem. I already have a car but if I were to build another his 7esque car would be in my top 3 and I really don't know which one I would go for in the end. But. GBS had a full racking of parts of most of their catalogue. MK had a retail section on the stand, I got a full set of Protech shocks (at half price ) My mate got a pair of extra wide front cycle wings from them. CBS had a stand for you to order from them at show prices. Rally Design, as always, had a huge stand selling all of their catalogue. I think all of the manufacturers would take orders for parts, usually with free postage. this was probably my tenth or fifteenth year. 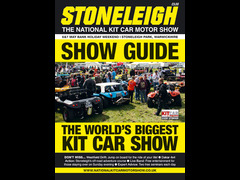 as others have said numbers are down on stoneleigh of old but its still a good event. this was the first year i have camped and it made the whole weekend more enjoyable and relaxed. with a couple of mates its a good and pretty cheap weekend away. i'll do the same again next year and plan a royte for a good run out on the sunday afternoon maybe. Me too, but to do it justice I think I would have a 1.6 ecoboost (upped mildly to around 200hp, the most I think you would ever need in a road biased seven) with an SPC Close ratio semi helical box and a ATB diff, new underneath, classic on top, Oh and it would have to stay brushed aluminium, no paint. I must've missed him if he was there but I agree would love to have seen this in the flesh. I'd also be tempted to keep it in brushed ali but keeping it clean could be a nightmare..
Well thats where i went wrong! I didnt know there were things in the halls! I walked past a couple of big warehouse type things on the way in but they were empty so presumed not being used! You missed a fair bit of the show if you didn't go into the halls. Let me get this right... You went all the way there, looked around the club pitches and the few outside stalls but didn't actually look in the exhibition halls? Essentially you missed the one of the main components of the show where manufacturers had all thier products on display plus the main component suppliers had thier stalls. hahaha yep!!!! The only things i saw were what was outside!!! Did you get one of these at the gate? I went for first time, pitched on Rawcus site on Sunday evening and got fed by Andy188 and his family, big thanks to them all and Ian for waiting for me on the Sunday. Monday I had a wander about the halls and most of the outside stands too. I found a toilet block with a shower too. Best car there was the Vanwall replica thingy, looked amazing. It was my first big trip in my kit, which was just fine, I stopped in off Newport on the way home, did 352 miles with average of 35 mpg, which I thought was pretty good, mostly 60-70 mph on the big roads. I couldn't make it. The first year I could have gone in a kit and the mot ran out on the Thursday and I had family commitment's Sunday/ Monday. Still, every cloud. I was sat on the beach on Crete with several long Tom Collins. I was there, flew in from Belgium. It was verry nice, a lot to see. I thought there will be a stand from locastbuilders, but nope. It's a hassle, no bus service on a Sunday or Holliday, when all the shows are on. It was a long walk around the yard, from 8h30 'till 16.00h. For us Europeans is this a special event, only in Engeland to see.